The Christmas and New Year competition was a great success - thank you all for your entries. Our winner is pictured below. 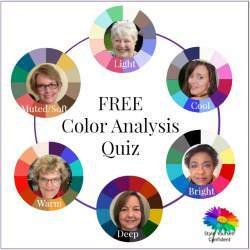 The NEW YEAR is the perfect time to give yourself a boost (and a treat) so check out all the FREE quizzes you might have missed out on to whet your appetite. More than that, there's a huge variety of freely available features, articles and easy ways to step up your style all here on this website. 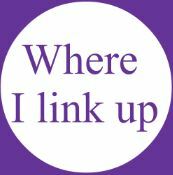 If you haven't checked it out for a while take a look at the SITEMAP for some new ideas. Meanwhile, here's a round-up of the latest posts on the Blog. "I'd like to dress for the woman I've been working to become. I've spent the last couple of years having two knee replacements but am now well and ready to get on with life. 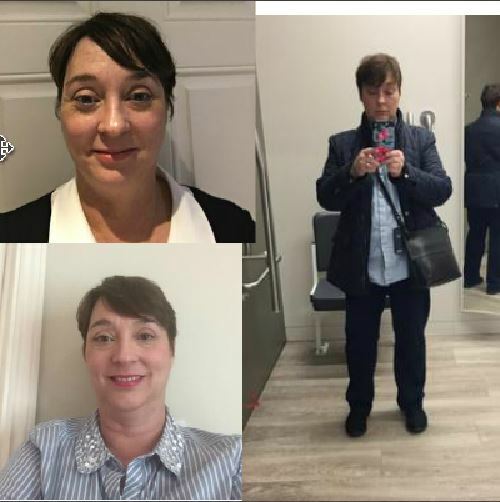 I want to look like the positive woman I am today so roll on 2018 this is my year!" 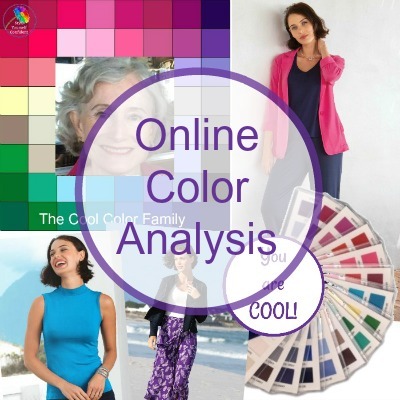 I will be analyzing Di's Colors before I hand her (in the nicest possible way) over to Nicole (my friend and colleague from High Latitude Style) to be 'styled' - so stay tuned! 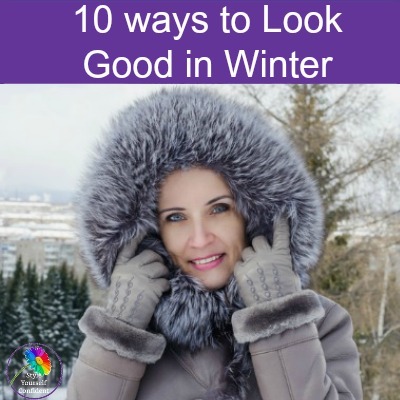 Once the Holidays are over, for many of us the coldest days are still to come - so how do we look good in the Winter and still manage to KEEP WARM! After all no-one looks their best when they're cold and miserable! "So many great tips here. I especially like the coat tips you've put together as well as winter footwear, both are critical to staying warm if outdoors for a length of time. 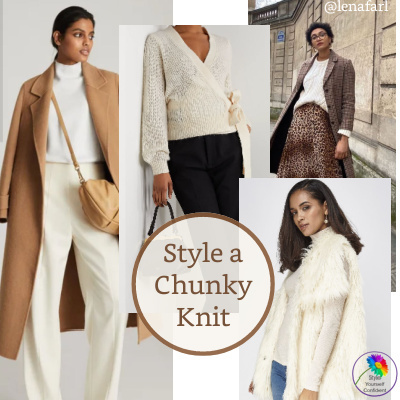 We live in cold, cold, climate and it really does depend..."
Whether you're using an old favorite or looking for a sure-fire sales buy, a cream or Winter white sweater will earn it's keep as one of the most versatile items in your wardrobe. A Chunky Knit provides the size and weight you need to add layers without the need for a coat. 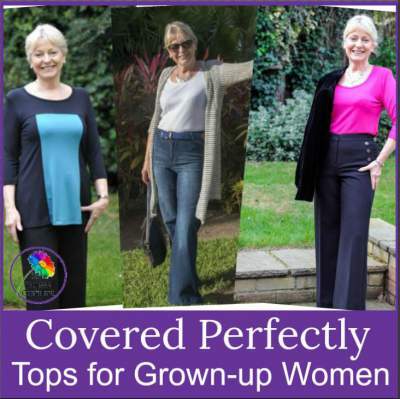 Loving my tops from Covered Perfectly and - WOW! - they actually fit in all the right places! I don't do 'skimpy' - I want something that covers the midriff and tummy, is roomy enough around the sleeves and I like a neckline that doesn't make me too hot. Oh who'd be a woman? You probably know how passionate I am about COLOR. 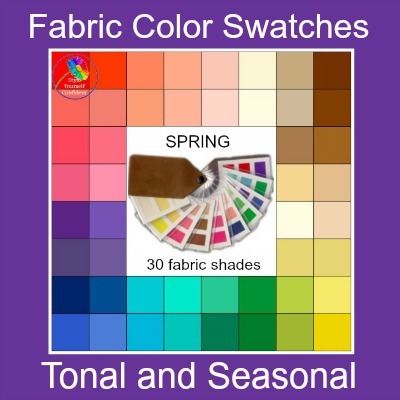 No, it doesn't mean that you have to live in vivid color all the time - on the contrary! 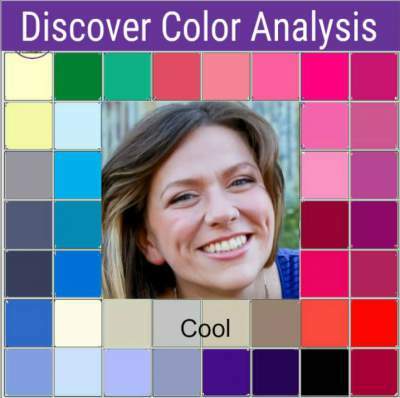 But discovering the secret of COLOR really is MAGIC! and it's the very best way to start feeling good about yourself. 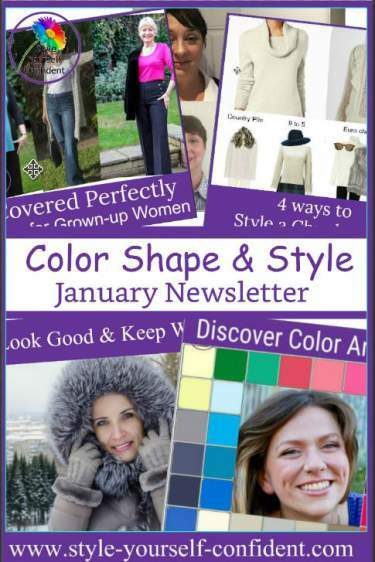 There are 3 different ways for you to find the color palette Nature designed for YOU!